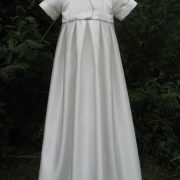 A beautiful summer addition to the Classic Collection, the Olivia Christening Gown is both stylish and pretty. 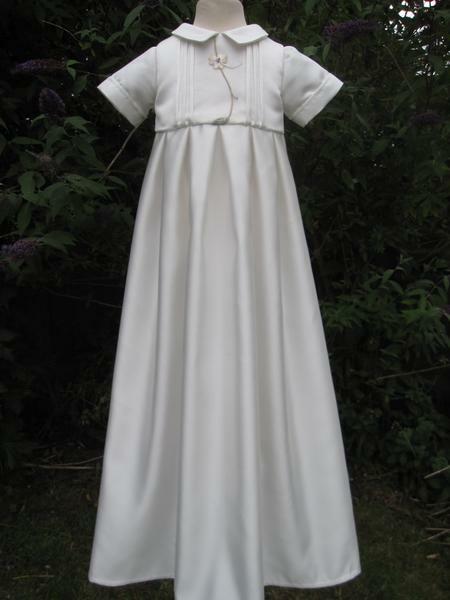 The gown featured has been created in a soft ivory satin fabric but work well in either cotton lawn or silk dupion. 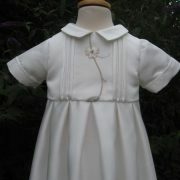 This is a simple style ideal for both girls or boys. 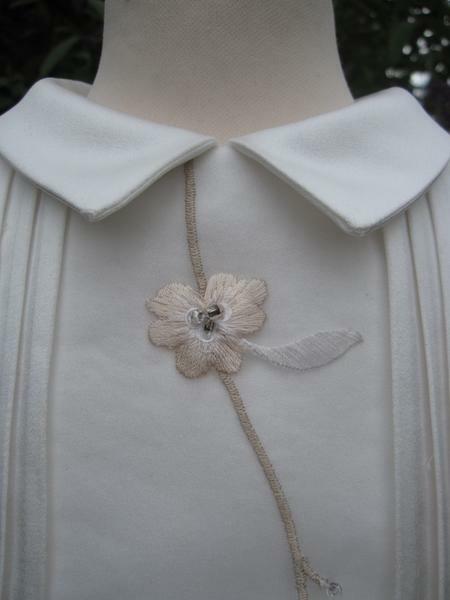 The bodice has classic pintuck detailing surrounding a front panel of embroidered organza. 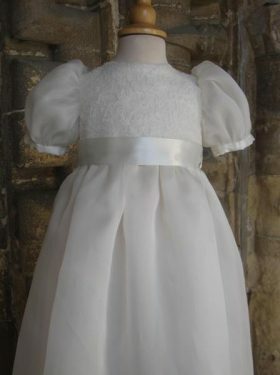 This adds a softness to the gown which compliments the style. 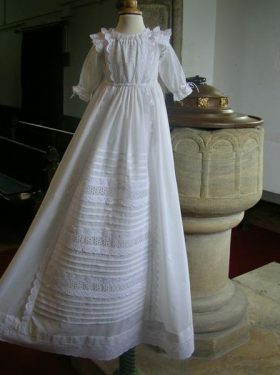 The skirt is long and is joined to the bodice with perfect pleats. 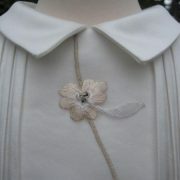 Short sleeves finish the style. 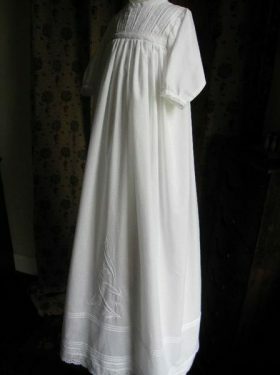 A wonderful gown created for summer and Autumn months. 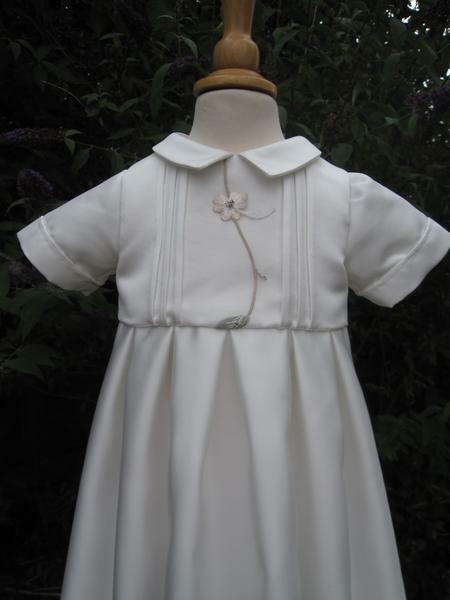 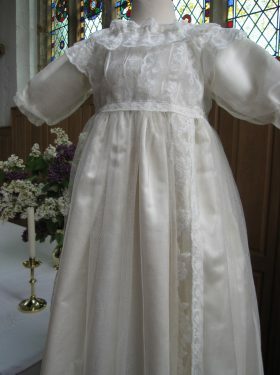 All Olivia Christening Gown accessories are made to match the christening gown using the same silk or satin fabric and matching pintuck detail.